Photo by Balthazar Korab (1926-2013), Hungarian-born architectural photographer employed by Eero Saarinen. Circa 1964. "Trans World Airlines Terminal. 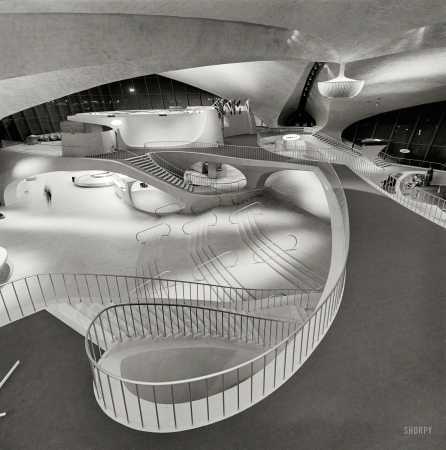 Idlewild Airport, Queens, New York."